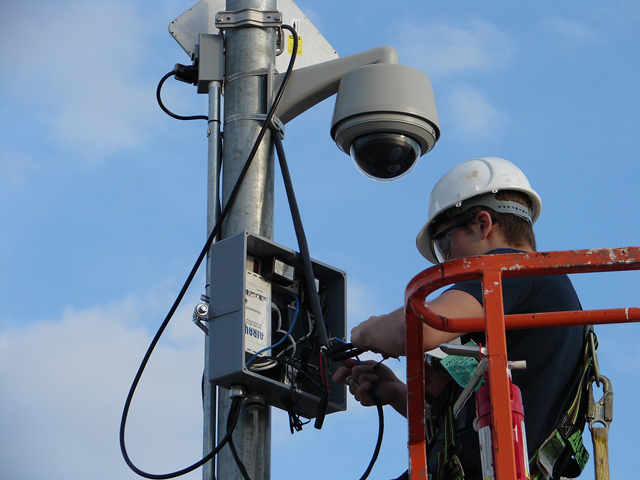 Surveillance Camera System selection and design can be a difficult process. The professionals at Michigan Camera Systems, with working knowledge of equipment, system feature availability, and installation techniques, will simplify the process for you. Your answers to the following questions will be valuable in designing the right Security Camera System that fits your needs. Why do you want the system? Are you having security problems or do you just want to monitor your site? Are there problems in the neighborhood? Are you worried about crime, lawsuits, employee misconduct or other potential concerns? This helps in camera selection and placement. How do you plan to use the Security Camera System? Do you plan to monitor the system actively or casually? Do you want it to notify you if there is a problem? Do you want the ability to look at the system remotely or through your smartphone? Do you just plan to review the video if there was an event? This helps identify the appropriate digital video recorder and the amount of storage you will need. What do you want to accomplish with the Surveillance System? The answers are extremely important for the selection of the appropriate security cameras and Digital Video Recorder. Do you think you will be adding more cameras at a later date? This will ensure that the system is sized correctly for future expansion, eliminating the need to replace the Digital Video Recorder. Who will operate the system and from what location? This helps to identify the configuration of the system and monitoring points. It will also assist in determining the training needs and the need for additional components. Make a list of each security camera location, the lighting in the area (day and night) and what you want to see and record. What is the environment like? Is it wet, damp, dry, dirty, extremes in heat and cold, or inside an office area? Are there any unusual risks, like explosion potential from dust or other conditions? 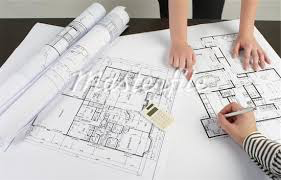 It is also helpful to use a drawing or sketch of the building to ensure that all of the important areas and trouble spots are covered by the security surveillance system's cameras. The Digital Video Recorder should be mounted in a secure space or protected in a lock-box. Keep in mind that it should be accessible enough to download recorded video for a criminal prosecution or to support a disciplinary action. The Security Camera System components require a power source. 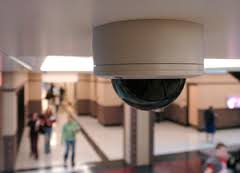 The security cameras are low voltage and can be powered by a multi-camera power supply located near the digital recorder, which is usually the better option. Otherwise, there must be a well-placed 110 volt outlet to plug in a single camera power supply near the mounting location. A 110 volt power source is required for the Digital Video Recorder, the multi-camera power supply and a video monitor (if needed). NOTE: Be sure to consider and note any potential problems or concerns related to the installation (such as hard ceilings, tight crawl spaces, extreme heights and conditions, etc.). We will Visit your Site and Listen to Your Concerns. We'll help you identify the goals you want the system to achieve, whether it's for general monitoring or positive identification. We will identify the proper components that will provide the features you need, within your budget!